This commentary is by Senate Minority Leader Joe Benning, R-Caledonia, and House Minority Leader Pattie McCoy, R-Poultney. As minority leaders in the Vermont House and Senate, we once again find ourselves frustrated by legislative proposals from the majority that leave us questioning how Vermont can sustain itself. Priorities are askew and fiscal discipline does not seem important. Some examples are in order. Vermont’s Governor Phil Scott and New Hampshire’s Governor Chris Sununu joined together in an historic attempt to provide the citizens of both states with a sustainable and voluntary family leave concept. 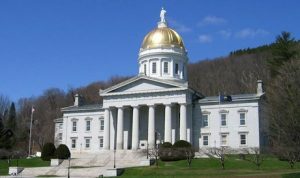 The Vermont House passed H.107 instead, a mandatory plan that demands every Vermont employee contribute towards a newly created $80 million dollar revenue stream. They must contribute, whether they will ever use the benefit or not. As our workforce ages and declines, that revenue stream cannot be sustained without greater amounts of money extracted from our citizens. This threatens to mirror our teacher pension commitments that have fallen far behind. Should this bill now pass the Vermont Senate, our only hope is that it does not do so by a veto-proof majority. We trust that Governor Scott’s veto pen will recognize H.107 cannot be sustained by a shrinking workforce and general public already far too burdened by present demands. The State remains obligated to clean up Lake Champlain, but to do so we must have a sustainable revenue stream. Governor Scott proposed taking $8 million from the estate tax, a revenue stream that has consistently provided much more than that annually over the past decade. But that money has now evaporated into other legislative projects, and no longer exists as a funding source for water quality projects. Unfortunately, our obligation continues, which means we will now have to raise existing taxes and fees and/or create new taxes and fees to meet our responsibility. Under the guise of promoting home weatherization, H.439 would double the fuel tax rate on oil, propane, kerosene and dyed diesel. This increase, to benefit comparatively few on an annual basis, would immediately impact the vast majority of Vermonters who must continue to use these fuels to survive. The impact would fall hardest on those who are poor and come from the most rural areas of our state. H.478 would establish a task force at taxpayer expense to consider payment (“reparations”) to descendants of slaves and a direct apology on behalf of the State for whatever role Vermont may have played in that institution. All agree that slavery remains a horrible stain on our country’s heritage, so the bill appears noble on its face. But are not descendents of the Abenaki entitled to make an argument for reparation and apology as well? Can or should Vermont use its limited resources to make amends for past wrongs done to specific groups with valid claims? We’d point to our Constitution for the answer. First, to the specific request, Article 1, Chapter 1 established historical precedent by forbidding slavery in the newly created state. Second, the general intent language of Article 7, Chapter 1 (commonly known as the “common benefits clause”) discourages use of government … “for the particular emolument or advantage of any single person, family, or set of persons.” We are proud that Vermont leads the way in educational reforms, workforce diversity training and criminal justice reforms to eliminate disadvantages for living citizens, but Vermont’s limited resources simply cannot be used to rectify past cultural wrongs. In a well-intentioned effort to improve alleged shortcomings in our child care systems in 2015, increased pay and licensing mandates were imposed that resulted in a devastating loss of home care providers unable to meet those expectations. Now, instead of reversing those mandates, the majority is talking about correcting the problem with increased funding subsidies from revenue streams yet unknown. Watching these proposals unfold is somewhat like observing a family that keeps borrowing up on a home mortgage they already can’t afford, to buy new things that seem exciting in the moment. Additional taxes and fees, proposals for benefits that are unnecessary or unsustainable, failure to fund pension obligations that results in a downgrading of our bond rating- these things cannot go on without consequences. In just a few short years we’ve increased our spending by over $1 billion dollars, to the point where our overall budget now exceeds $6 billion dollars, yet we cannot fix our roads or pay for the cleanup of Lake Champlain. Vermont Republicans believe we need to live within our means and adhere to the constitutional principles that bind us as a society. Please help us spread that message. April 15, 2019 in Commentary. Unless a Republican in Vermont boldly proclaims their support for President Trump, assume they are Democrats in disguise. Hey Joe, kill fewer babies – would be good for the economy. This commentary appeared in VTDigger also. I’m waiting to read the comments there, or as they call them Reader Footnotes with just enough space to get half of your comment in. Anyway, the only republicans I’ve seen or heard from lately are senator John Rogers who is actually a republican in a democrat suit and the two senators from Rutland who voted against the abortion bill. There are no real republicans in Vermont anymore. Carpetbaggers have hijacked the Vermont government and the state is doomed. The craziness has me contemplating my exit, I can’t afford to stay here after almost 7 decades. This concern above comes to late. The republicans have failed to protect Vermont. Gee Joe, I would love to support your weak-kneed response to the socialist juggernaut that is Vermont. However, your stand on the H-51 abortion bill which you supported killing perfectly viable humans and your stand on degrading the social health of Vermont by caving into the potwagon that is rolling through this country leaves me mute and thus unable to support you and, really, understand your logic. So roll on, because you obviously believe you are smarter than the rest of us. Vermont,where even the supposed conservatives are closet Leftists and the Leftists are acting rather like Fascist Taliban,Vermonters are doomed. Well past time to explore the Freer states. Gary: the abortion bill is actually H.57. I have never, and do not now, supported it. Nor have I ever supported the abortion of a perfectly viable fetus. Askew my hiney, these leftist fascist flatlanders have fallen completely off the wagon of sensibility. of the population and every program grows the government of incompetence even more. I think we are at the point of more government then cows. Not god even the cows are running away.. Just like the left on the left coast they don’t give a damn about tax paying citizen only their next made up victim . revolve Spending what we don’t have, on nonsense bills, such as !! contribute towards, a newly created $80 million dollar revenue stream that you must contribute, whether they will ever use the benefit or not !! still alive, why descendants ?? and I assume there are others !! sold, we just took what we wanted…… Kind of sounds like today’s politicians………. H.439 Under the disguise of promoting home weatherization would double the fuel tax rate on oil, propane, kerosene, and dyed diesel……by hook or by crook !!! Vermont’s ” Rabbit Hole ” It starts in Montpelier and needs to end in Montpelier !!…. Sooner rather than later, wake up and take a stand, enough is enough. Aww! You are all getting the picture now ! This political movement has, and will always be the plan to rid Vermont of `clutter businesses”,questioning residents and anything that hinders their plan to make Vermont “their” playground and “there ” friends coming to buy up your property at hopefully distressed values. How they doing ? These communists could care less. They’re blind ideologues who pursue an agenda at whatever cost, and be damned with reality and the laws of economics. Soon, they’ll have this whole mess they’ve created all to themselves — as I, and other like-minded residents, sell our homes and leave for other, saner parts of the country.